With Seal & Go passengers don’t have to worry about their baggage anymore. 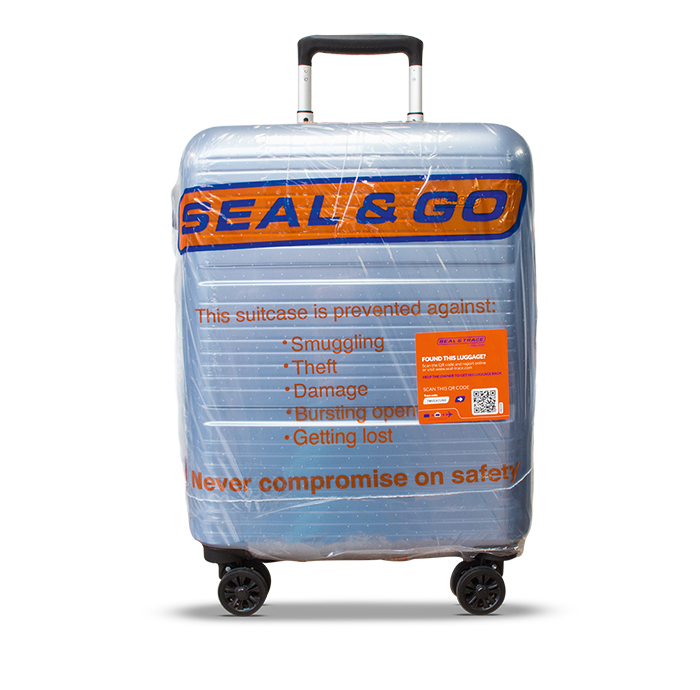 Our special Seal & Go sealing protects baggage with only one layer of foil. If the seal is broken when they arrive at the their destination, they will know someone messed with their baggage. The foil is transparent so the baggage remains easy to recognize. Seal & Go offers a complementary service: a free Seal & Trace code comes with every sealing. 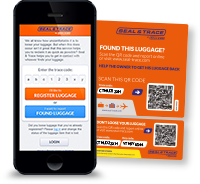 With this code our customers are able to register their baggage and trace it in case it is lost. Customers can ask us to weigh their baggage for free. At some airports passengers are able to use our user-friendly self-service scales. Due to the fact that Seal & Go machines work automatically, we are able to work fast and help quickly. Customers will never have to queue near the Seal & Go desk. We sell alle kinds of baggage items at the Seal & Go airport desk.